Sling is a 2D physics platformer game with a twist. 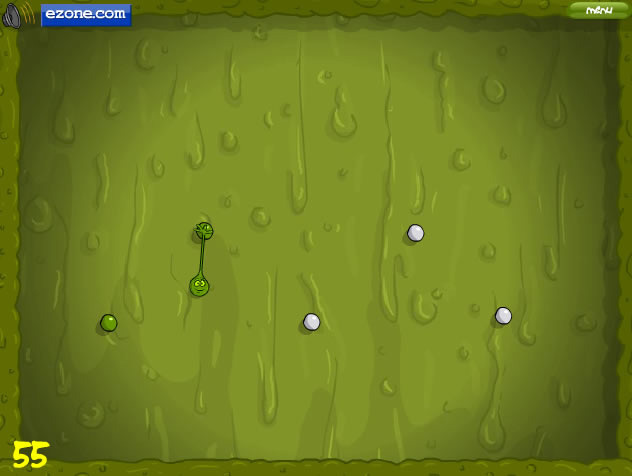 Get ready to fling, flick, snap, bounce, drop and shoot a springy ball of slime through 50 danger filled levels. Along the way you'll meet a crazy old kook - listen to his rantings as they may just provide the help you need to defeat the evil monsters and save the citizens of Oozeville! Use left mouse button: click on the Sling and drag it to move.